A 25-year-old Latino gang member convicted in the racially motivated gang murder of a black Canoga Park bowling alley employee was sentenced Thursday to life in prison without parole. 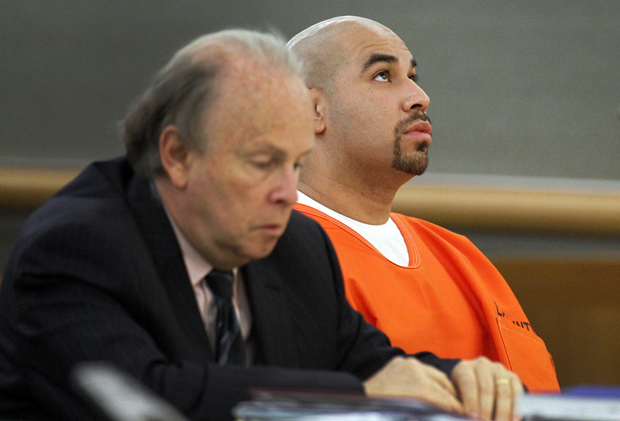 Martin Sotelo, a member of the Canoga Park Alabama gang, was sentenced in connection with the fatal drive-by shooting of James Shamp. Van Nuys Superior Court Judge Martin Herscovitz also ordered Sotelo to pay $15,916 in restitution for the burial of his victim and mental health costs of the victim’s family.